London, Asharq Al-Awsat—The head of Iran’s Basij militia said on Tuesday that Egypt and Jordan would form popular militias of their own in order to resist Israel, in what some observers see as an attempt to reassert the relevance of the organization in the face of Iranian President Hassan Rouhani’s attempts to improve relations with Iran’s neighbors and the United States. The Basij is a voluntary militia, which operates under the authority of the Islamic Revolutionary Guard Corps (IRGC). It functions as an auxiliary force to that organization, and is most often used in enforcing internal security. As the Syrian conflict has continued, the Syrian government has formed a militia of its own, known as the Popular Committees, to relieve its hard-pressed armed forces of guarding government-held territory. Its members have reportedly received some training from the IRGC. Naqdi’s comments on Syria are likely to be viewed with hostility, given the criticism Iran has faced for assisting the Syrian government’s battle with the rebels seeking to bring it down. In Lebanon, the Hezbollah movement has a long and close association with Iran and the IRGC, having provided them with training, funding and equipment, which some Palestinian factions have also received, though to a lesser degree. Naqdi’s comments on Egypt and Jordan are also likely to be met with alarm, given the suspicion with which Shi’ite Iran has been viewed by governments in both states since the Islamic revolution of 1979 and wider hostility to the idea of a growth of Iranian power across the Sunni Arab world. On the same day, Rouhani told an audience in the province of Khuzestan, on the Iraqi border, that Iran’s new foreign policy of reducing international tensions would lead to the “collapse of the wall of sanctions” imposed on the country by the US and its allies amid concerns over its controversial nuclear program. “We need to move away from the deterioration caused by the nuclear issue—including the economic stagnation, inflation and employment,” said Rouhani. “We are determined to move away from these circumstances, which are inadequate for the Iranian people,” he added. In his speech, Rouhani hailed the agreement with six major world powers, including the US, on the implementation of an interim agreement on the nuclear program reached at the end of last year. 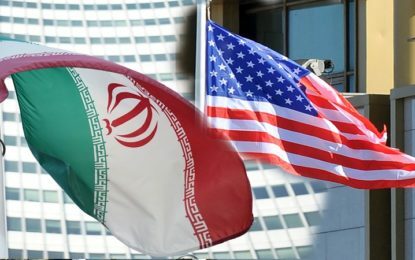 The agreement is set to come into effect on January 20, and will offer Iran some sanctions relief in return for the suspension of some aspects of its nuclear program, and additional international inspections of its existing facilities. 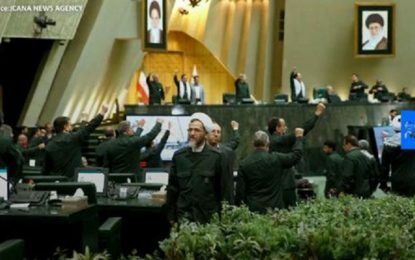 Although the deal has not been openly criticized by the IRGC, senior members have warned that Iran’s “sovereign rights” must be respected.